Oh yeah....these babies stuck to your teeth like dentist glue ! They had little jokes on the stick, didn't they ? We always got these at the candy store and smuggled them into the movies. Sugar Daddies are really great and have an incredible grip strength. At the age of seven I lost a new filling while hard at work on one of them. Needless to say my parents weren't too pleased. The solution to how to pull a loose tooth. 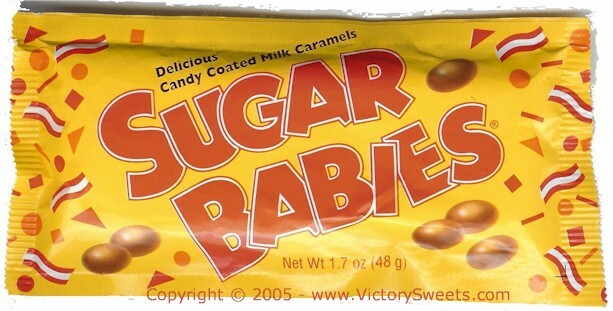 A "Sugar Daddy" could keep a kid occupied for the better part of the afternoon.